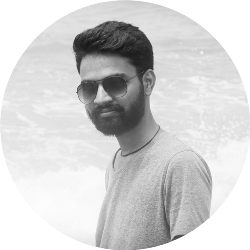 Here you will learn about dangling reference and dangling pointer in C.
In computer programming, memory is allocated for holding data object. After the work is done the memory is deallocated so that this memory can be used to store any other data object. While programming, we use pointers that contain memory addresses of data objects. 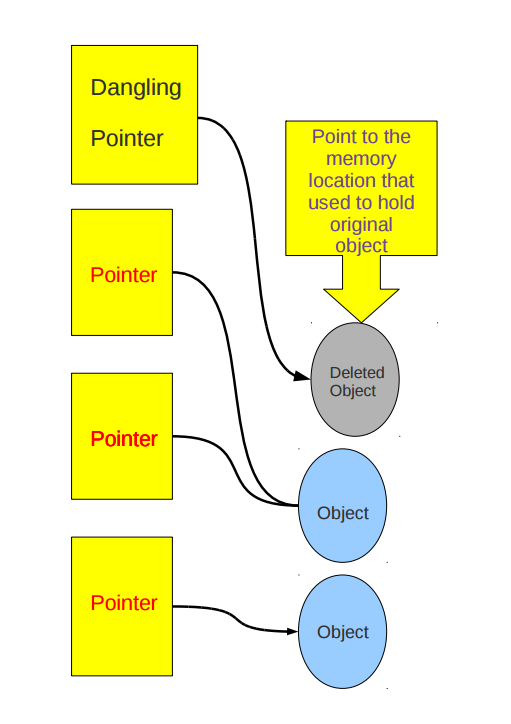 Dangling pointer is a pointer that points to the memory location even after its deallocation. Or we can say that it is pointer that does not point to a valid data object of the appropriate type. The memory location pointed by dangling pointer is known as dangling reference. Now if we access the data stored at that memory location using the dangling pointer then it will result in program crash or an unpredictable behaviour. In above example we first allocated a memory and stored its address in ptr. After executing few statements we deallocated the memory. Now still ptr is pointing to same memory address so it becomes dangling pointer. I have mentioned only one scenario of dangling pointer. There are many other situations that causes dangling pointer problem. How to Solve Dangling Pointer Problem in C? To solve this problem just assign NULL to the pointer after the deallocation of memory that it was pointing. It means now pointer is not pointing to any memory address. Let’s understand this by a code in C.
If you have any doubts related to above dangling pointer in C tutorial then feel free to ask by commenting below. After free(ptr) statement i f i try to access the previously entered nos using ptr will it lead to program crash??? Will it display the entered nos or lead to unusual termination of Program?????? Please help if u can!!!!! It will cause problem as after free(ptr), ptr still pointing to the memory address that is already deallocated.